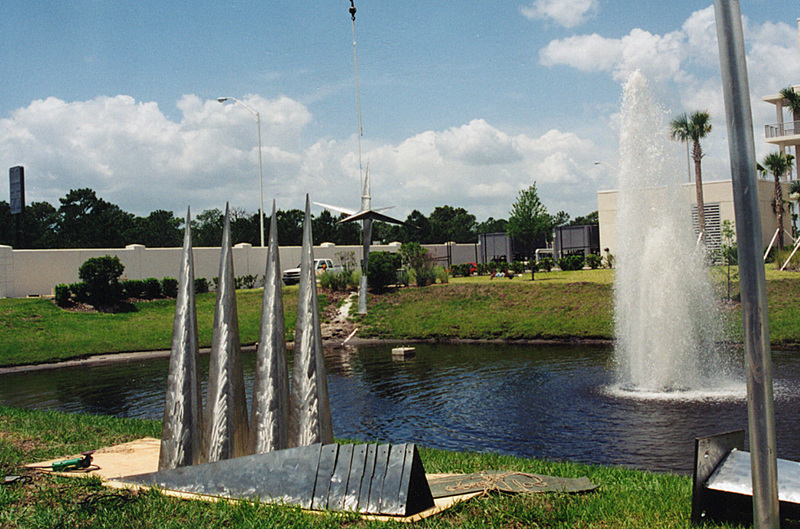 Each of these six tall kinetic sculptures is comprised of six points and rotates around a vertical axis by the force of the wind. The asymmetric design allows for an undulated motion. 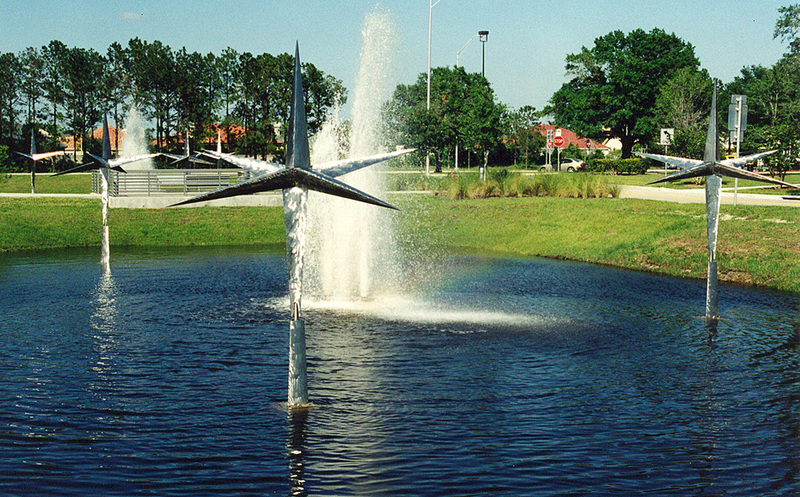 With an internal cable system, each sculpture winds up and recoils in a dance-like movement. 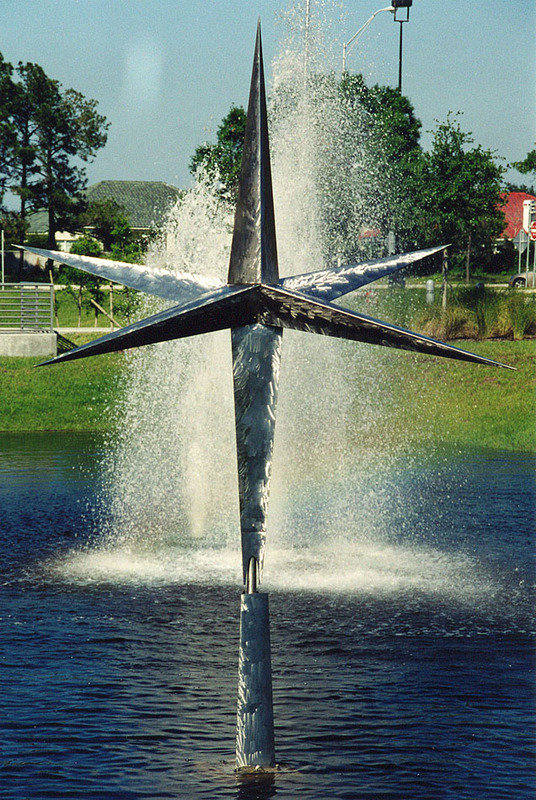 The placement of these sculptures in the two ponds (each measuring about 130 feet square) are arranged to mimic the configuration of two colliding galaxies, which are found in abundance in the Andromeda Constellation. These sculptures are engineered to withstand winds up to 120 mph winds, but will move gracefully even in the lightest of winds. Created for Florida State Turnpike Authority Headquarters, Orlando.